The area I am modeling is nearly a mile in length which is much too long in HO scale for me to attempt at this time. I decided to build modules that measure 2' x 5' so that they can be more easily transported. I used selective compression in order to model from Cridge Street to the Riverside-Downtown Metrolink station. 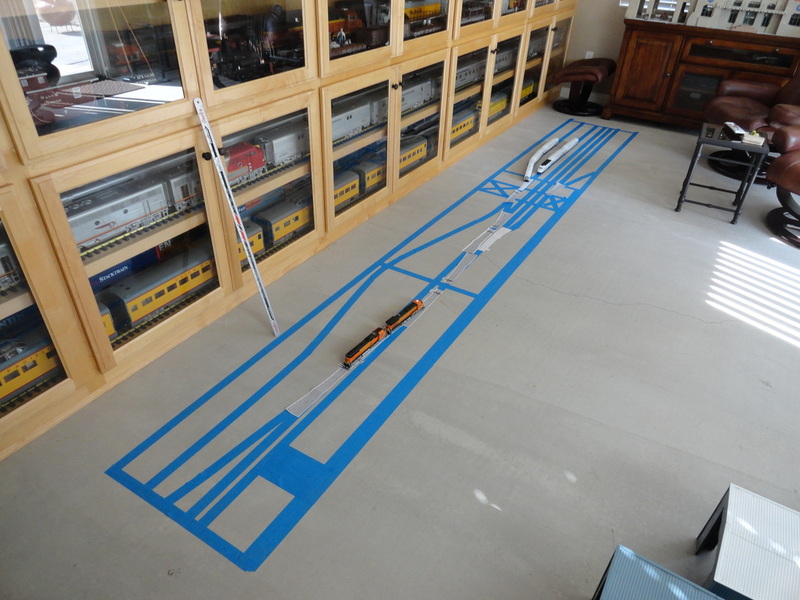 A scale mock-up of the three modules was laid out in blue painters tape on the floor. This allowed me to identify where the track and turnouts would be positioned so that I would not have a stringer where a Tortoise switch machine needed to be. The finished modules will be made so that they stack one on top of the other with the track side facing each other. This way, the sets of two modules can be stacked and transported with minimal damage to the scenery. Before any wood was cut, a scale mockup of three modules were outlined on the floor. 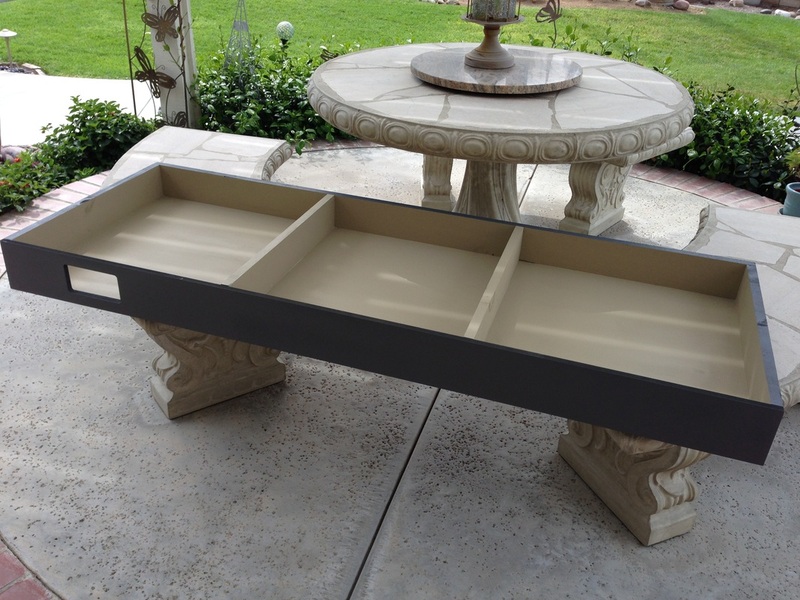 After the dimensions were finalized, the frame was made from 1" x 3" pine and the top surface made from 1/2" thick MDF. 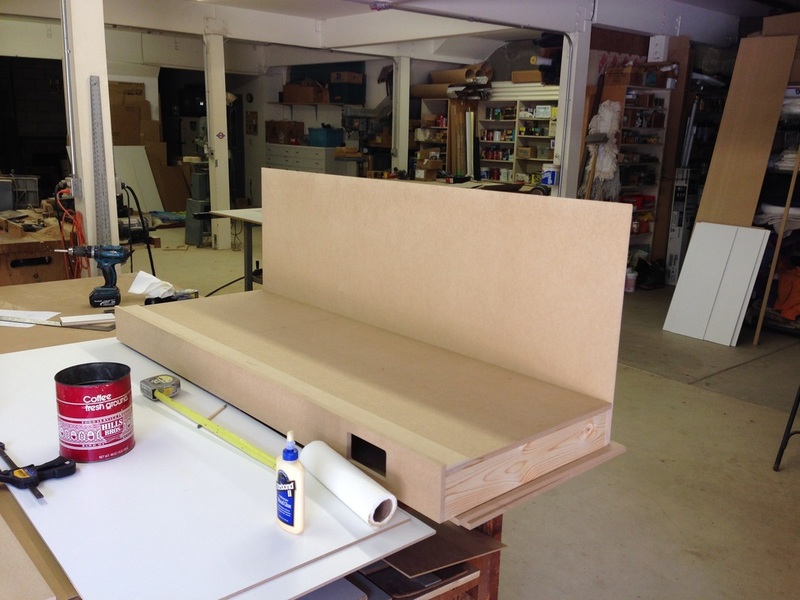 The fascia was also made from half inch MDF while the backdrop used 1/4" thick MDF. A hole was cut in the fascia to allow for a track diagram and turnout toggles to be added. The control panel for the turnouts was made from 1/4" MDF. After striping the track layout with pin stripping tape, a layer of green paint was applied. After the tape was removed, several coats of matte clear was applied. After the paint had cured for several days, holes were drilled for the 3mm LEDs and the toggle switch. If the LED is green, the turnout is lined in that direction.